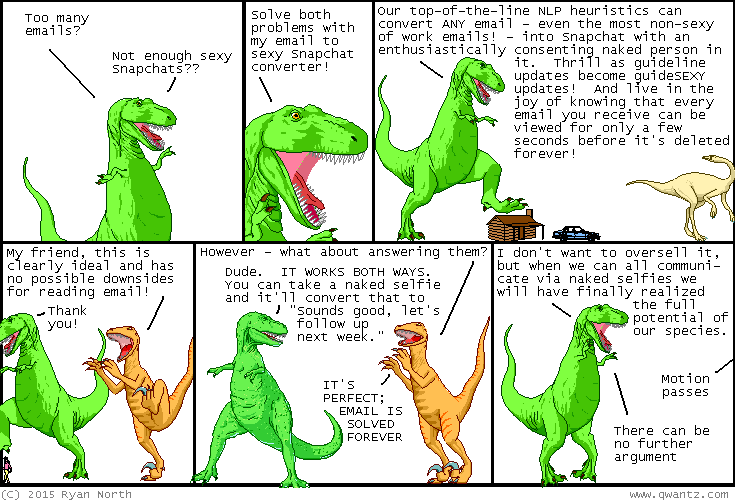 Dinosaur Comics - May 8th, 2015 - awesome fun times! –WHY HASN'T FACEBOOK DIED YET?? May 8th, 2015: You know what this weekend is? TCAF is this weekend! It's the best convention ever AND it's free AND it's right here in Toronto. I don't have a table this year BUT I'll still be around, and here's where to find me! If you're in Toronto you should definitely come, it is... the best.